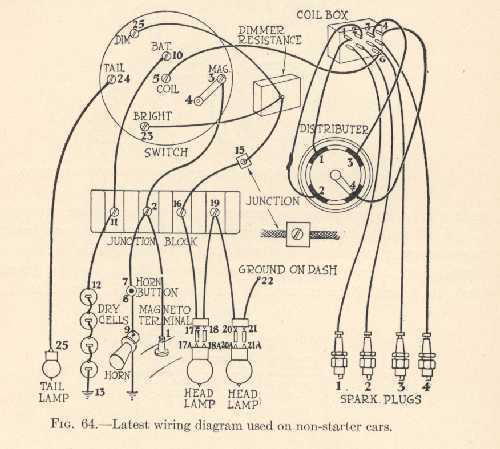 1926-27 Model T Engineering Specifications A four page pdf file of a Ford Motor Company archive document. 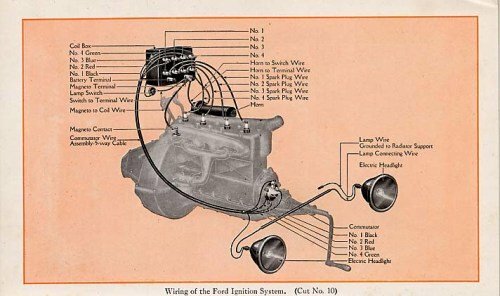 This includes detail of general specifications for the Model T Ford mechanical systems, chassis data, finish and trim data, engine speeds and gear ratios and includes one page dedicated to the TT Truck. 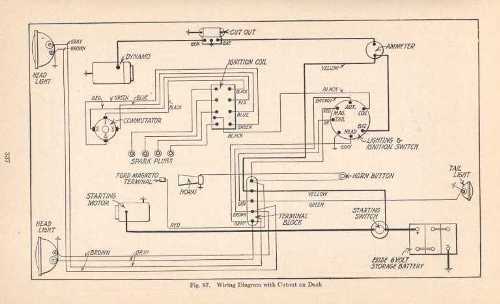 Below are a number of different wiring diagrams for the Ford Model T. Study the diagrams carefully to see which one suits you. 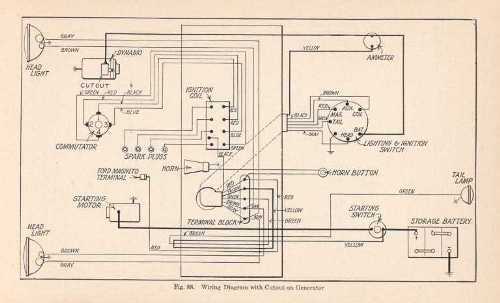 Baring in mind that the T was built without any electrical equipment other than the ignition system, then with magneto powered headlights and also with the starter/generator electrical package as well. There were minor variations as well as in some models, the location of the generator cutout changed for a period too.